Killing Kennedy is a film that shows how time might have unfolded from the time of Kennedy’s election as president to his assassination. Oddly enough, the film begins in Moscow, portraying Lee Oswald defecting to Russia to take up with the Marxists. Paralleling the Oswald scenes are scenes of Kennedy, winning the candidacy and becoming president. It quickly becomes apparent that both Oswald and Kennedy’s lives are tumultuous in their own different ways. Both men struggle on different levels, a strong point of this film is the transition from Oswald to Kennedy as their separate paths slowly converge over the course of the film. Several major and subtle events are chronicled throughout the progression of the film. The Cuban missile crises, the Kennedy affairs, and Oswald’s abusive and erratic behavior were all noted in the film. Even the tragic death of Kennedy’s young son Patrick is mentioned. Everyone already knows how the movie will end when they begin watching it. Kennedy’s assassination is a great tragedy of American history. The film fills in a lot of blanks using an impressive amount of acting and screenplay. The film strongly resembles a documentary of information, but is without narration and entirely acted out. There will always be unanswered questions and inaccuracies surrounding the Kennedy assassination, but the film does a good job supplementing fact with reasonable speculation. Oswald seems to spiral slowly into madness throughout the film. There is a lot of suspense leading into the final scenes. 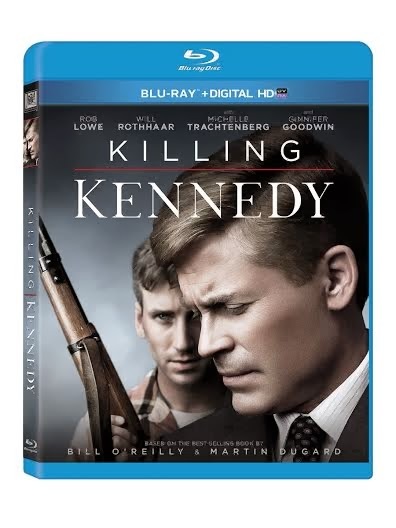 The film is a powerful and worthy addition to any collection, whether you are a historian, or only casually interested in the story of what happened to Kennedy. This is a must see. It's part of history and I think it's going to be very interesting to say the least. Thanks for sharing this review. This is the first time I have seen this and I had no idea it was out.